You created your garden with all your love and suddenly, almost without realizing typical plant pests and diseases like – caterpillars, slugs, aphids, downy mildew, powdery mildew, … among others appears. You don’t know what to do? 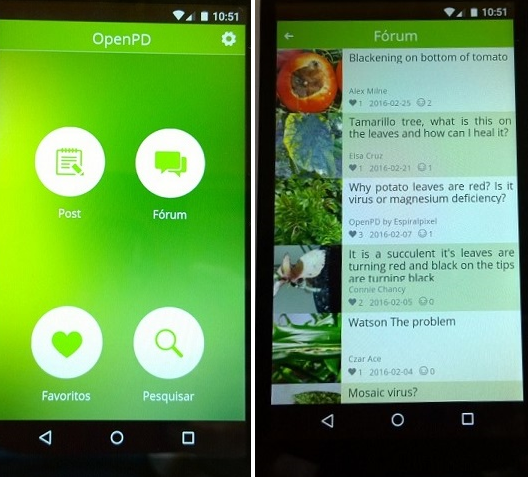 The OpenPD app for mobile phones can be an excellent help and is very simple to use. The community (forum) helps you as a user in pest and/or illness identification, by generating a discussion, requesting more detailed information or inviting other users to participate. What are you waiting to use the OPenPD? Tell us your opinion … via FB (https://www.facebook.com/openpdnet/) or via blog (http://blog.openpd.eu/).